Role Creative director for Wholegood, a London-based organic fruit and vegetable company (2014 ­– 2015) This involves design, product and recipe development, and marketing and communications for the brand. Background Wholegood started out as a wholesale distributor and was looking to expand their range and reach into consumer retail. 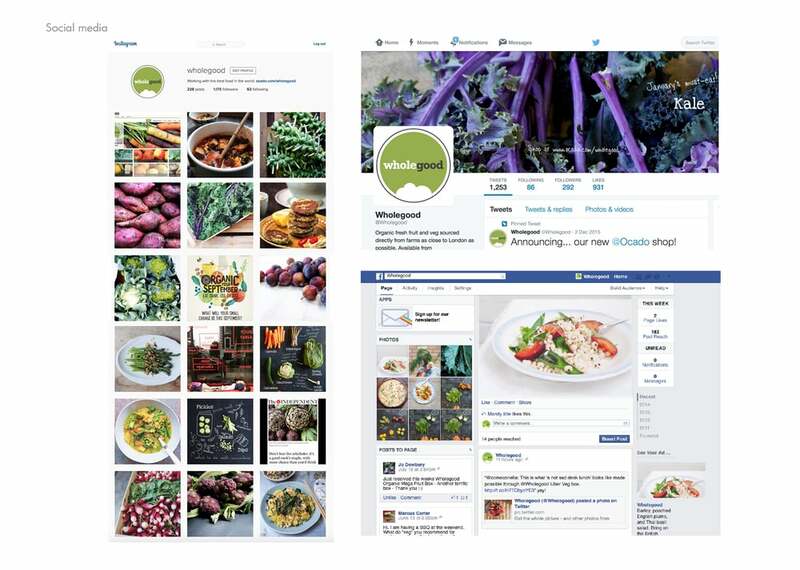 Prior to 2014, Wholegood had no online presence and had just launched their seasonal veg boxes via Ocado. 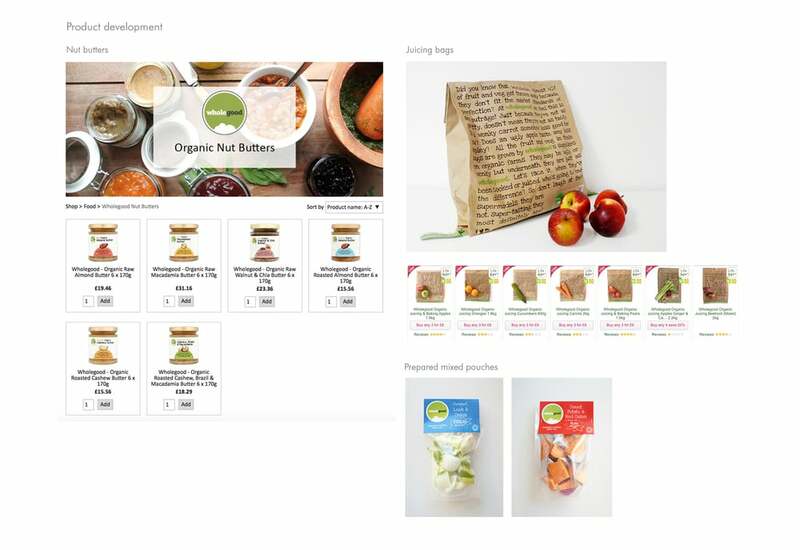 Currently Wholegood has an established foothold in the UK organic market, especially with the launch of their latest Ocado shop, featuring a seasonal fruit and vegetable range, kids' range, and their own pantry line. Wholegood now also has a separate wholesale website offering their produce alongside a curated selection of products from other great independent niche food brands. also built up a network of food writers, cookbook authors, health influencers and chefs for the brand; and coordinated popup events and supper club collaborations with these cooks. My background in the kitchen has taken the form of recipe and product developments for the brand. 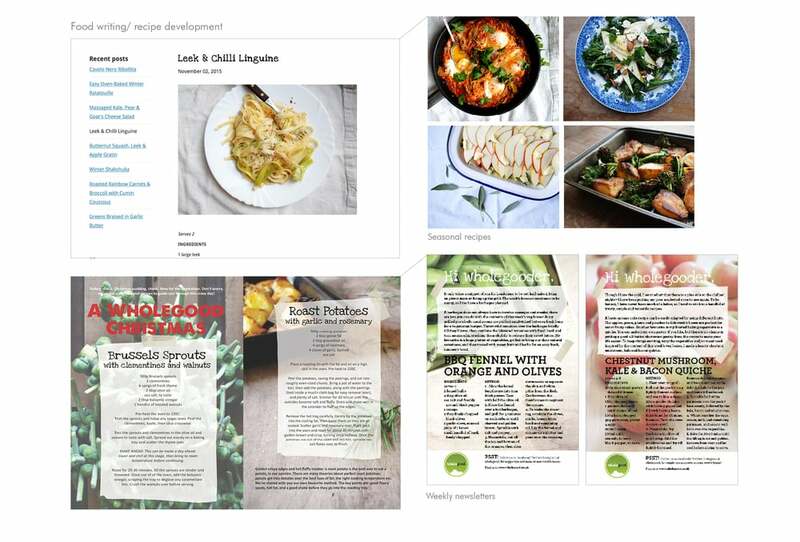 A vast collection of weekly seasonal recipes is available to the customer, in print and on the blog. Knowing food trends and market needs have come in handy while developing and diversifying Wholegood’s offerings. New products launched include Wholegood organic nut butters (with interesting flavours such as walnut and chia seed butter and macadamia nut butter); juicing bags (pocket-friendly, sustainable options to reduce ‘ugly’ fruit wastage); and prepared vegetable pouches (providing busy consumers with pot/oven-ready combinations).